iNew is a ver popular brand in China. They have launched the series of successful smartphones in the market already. The company is established its business in the year 2013, till now they launched many user-friendly smartphones in the market. Now the company is launching a number of smartphones under the Pandora series, as per reports from the company website. The RP will be the first smartphone coming under the Pandora series. Now the company is planning to give a tough competition to the Oppo brand with iNew Pandora R9. Coming to the specs of the iNew Pandora R9, the device features a Moonlight by 13MP front camera, to take sharp and crisp selfies. The display is 5.0″ SHARP FHD screen, Fingerprint with Cream technology, NXP music chipset & Box speaker, 2A fast charge and much more. Earlier the company released a teaser with the front flash feature with a caption “Fall in Love with the Night.” It seems the company is targeting selfie lovers with its unique Moonlight technology, which is capable of capturing great selfies at any lighting conditions even in low light. It includes 4GB of RAM and 32GB of internal storage along with a MicroSD card slot. From the above-featured image, we can see the volume rocker on the right side of the device along with power button. On the front top, you will see ear speaker, front camera, LED flash and proximity sensors. 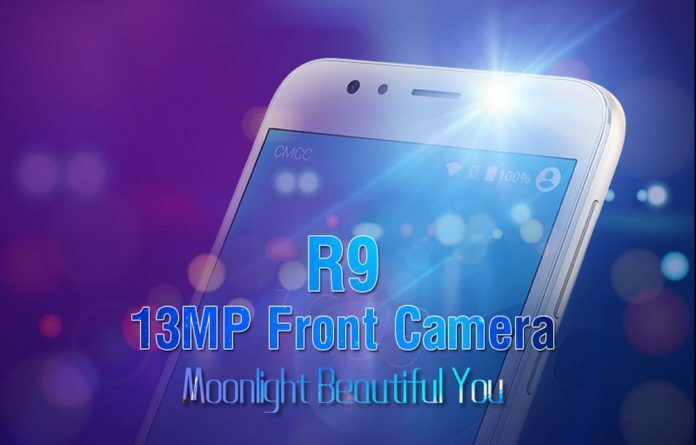 According to the sources, the iNew R9 comes with a cheaper price tag and surely at an affordable price. The availability of the device is yet to be release, and the device will be launch in October. We have contacted the company to know more about the device specs, price, and availability. We will soon update the details of the iNew R9 as we get.